Inazuma Eleven Finally Coming to the United States? Soccer has taken off in a big way in Japan thanks to the national team's upward trending success in recent World Cups. The sport is taking off so much that it is even threatening baseball as becoming the most popular sport for young boys to play. Naturally, there has to be a video game to capitalize on this success, yeah? Of course there is, and it is one of Japan's biggest new series in recent memory. Inazuma Eleven has been a huge cash-grab for Professor Layton developer Level-5 since the first game launched to huge success on the Nintendo DS in 2008. 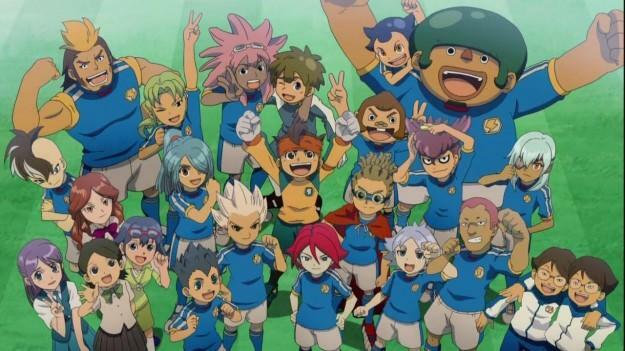 The company first found its roots as a developer of RPGs, and while it has strayed from that path in recent memory, Inazuma Eleven keeps the basics of its RPG mechanics intact within the confides of a soccer game. Level-5 has not yet localized the game for American audiences, but that could be changing according to Nintendo's Official Website. A brief glance at the release calendar for 2014 shows Inazuma Eleven scheduled for a Nintendo 3DS release in Q1 of 2014. So far, six games have been released in the series, and they have each been split up into colors like Pokemon. There is no telling which game will be the one brought over, but the most likely target is a recent bundle which combined the first three games Nintendo DS games onto a single 3DS cartridge. All three games have already been translated as well for soccer-loving Europeans, so the localization shouldn't prove too difficult. Level-5 has yet to officially announce the release yet, so treat this as a Nintendo-backed rumor until the word officially gets out. I've never played the games, but if Level-5 gives this a digital release, I just might have to see what the fuss is all about.